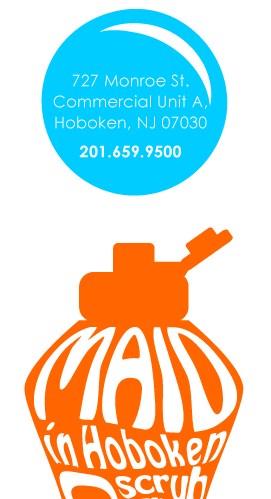 Maid in Hoboken » Let the Best House Cleaning Service in Edgewater Help You Put Your Life in Order! Maid In Hoboken is dedicated to helping New Jersey residents enjoy cleaner, happier homes, and we’re proud our neighbors in Edgewater have helped make us the #1 residential cleaning service in customer satisfaction on Yelp! Our great people have made us the cleaning service of choice for Edgewater residents from the Hudson River to the Palisades Cliffs, and from Fort Lee to North Bergen. Every team member is carefully screen, and we conduct extensive background checks ensuring each is dependable, honest, and eager to provide top-notch customer service. Then we give them the professional training and tools they need to deliver the best house cleaning services in New Jersey. We know Edgewater residents, whose ranks have included luminaries from real estate mogul Barbara Corcoran to newsman Geraldo Rivera, have better things to do with their time than clean! We’ll Design a House Cleaning Service Plan Perfect for Your Needs and Budget! Maid in Hoboken offers competitive rates, and we can create a residential cleaning plan designed for your needs and budget, from move-in cleaning to move-out cleaning. We offer weekly, bi-weekly, monthly or special occasion cleaning services. In addition to our eco-friendly residential maid service, we offer commercial cleaning services, keeping homes and businesses throughout Edgewater clean and happy. Our cleaning service is fully bonded, and we guarantee satisfaction. If you’re not completely happy with the cleaning, just contact us within 24 hours after the appointment, and we’ll re-clean to your approval at no charge. That’s why residents of the Avalon, the Windsor at Mariners, The View, The Waterford and throughout Edgewater have Maid in Hoboken provide all their cleaning services. We invite you to visit our storefront on the corner of 8th and Monroe in Hoboken to discuss all your house and office cleaning needs.